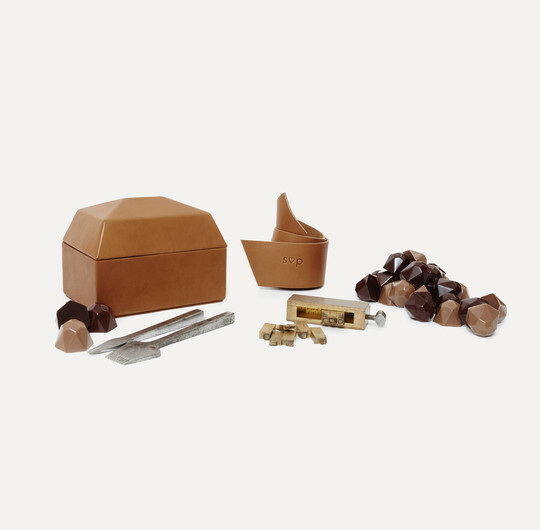 Pour la Saint-Valentin, la fameuse boîte maison A la Mère de Famille est passée entre nos mains expertes pour s'habiller de cuir. For the opening of the Webster NYC boutique, laContrie designed its iconic model, the Carrousel, at the colors of the Webster logo, with an adjustable strap. Each bag is totally handmade in our workshop in Paris. Each client, each boutique come in our workshop to customize their model according to their tastes. Our collaboration is the result of a meeting, a mix of two universes. 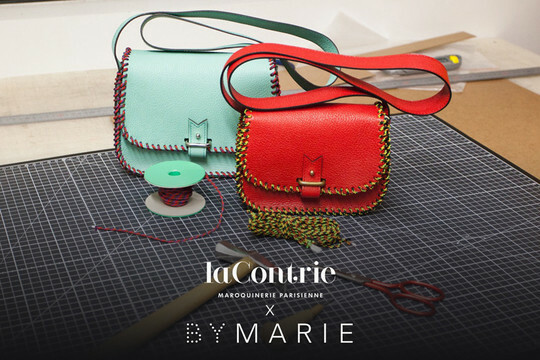 laContrie created a feminine and colorful collection in exclusivity for BYMARIE. For the first time, the Rohan with rope will be shaped and lined in kidskin. It will be smooth and proposed in ten colors. Our new Opéra collection is available in belt, bracelet and choker. Each model can be reversible, plain or bicolor. A selection is available in our boutique. 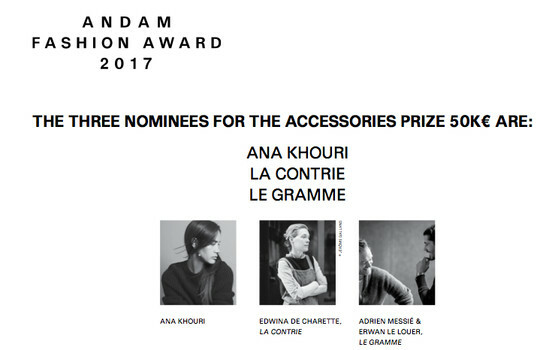 laContrie is pleased to be one of the three finalists for the Fashion Accessories Prize of ANDAM Fashion Award 2017. The 25 members of the judges panel will meet on Friday, June 30th to select the winners of the 28th ANDAM edition. 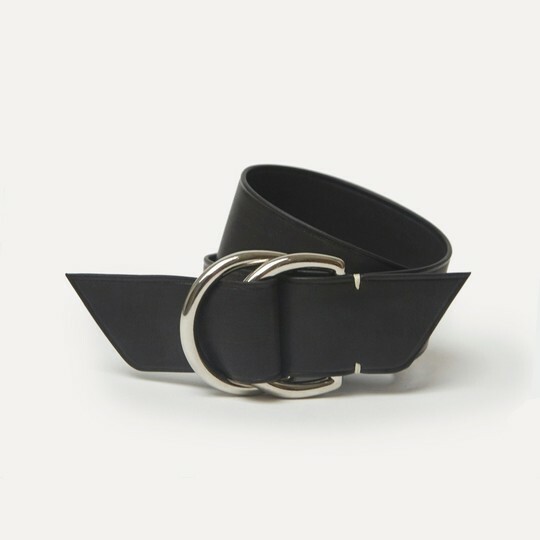 Founded under the initiative of the French ministry of Culture and the DEFI, with Mister Pierre Bergé as president, ANDAM is dedicated to supporting young designers and reinforce Paris influence, as the world's fashion capital. laContrie twists its eshop ! Our Casanova clutch now exists in two sizes !